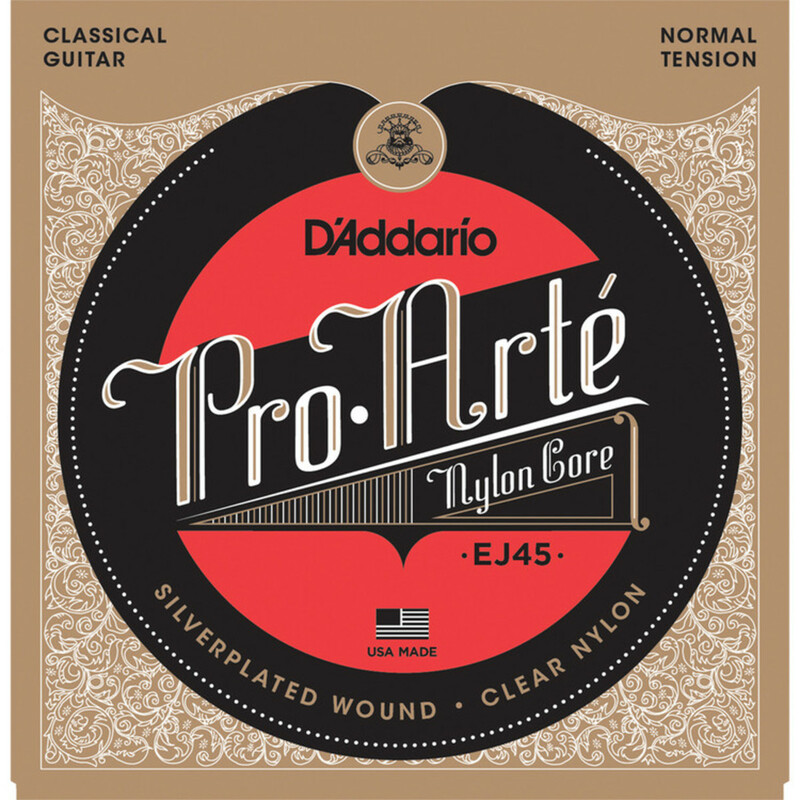 The D'Addario EJ45 Pro-Arte Nylon, Normal Tension are D'Addario's best selling classical set, preferred for its balance of rich tone, comfortable feel and dynamic projection. All of the Pro-Arte strings are sorted by a sophisticated computer-controlled laser machine which performs diameter and tension measurements, ensuring players with true-sounding, precise trebles in every set. 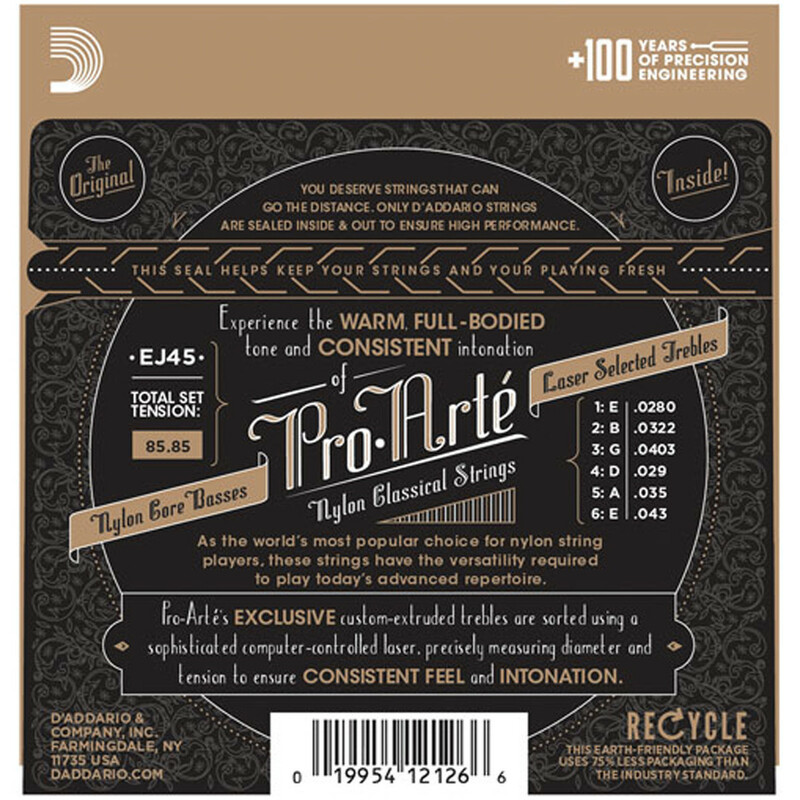 Pro-Arte basses are wound using silver-plated copper on a multi-filament nylon core for consistent and warm, yet projecting tone. 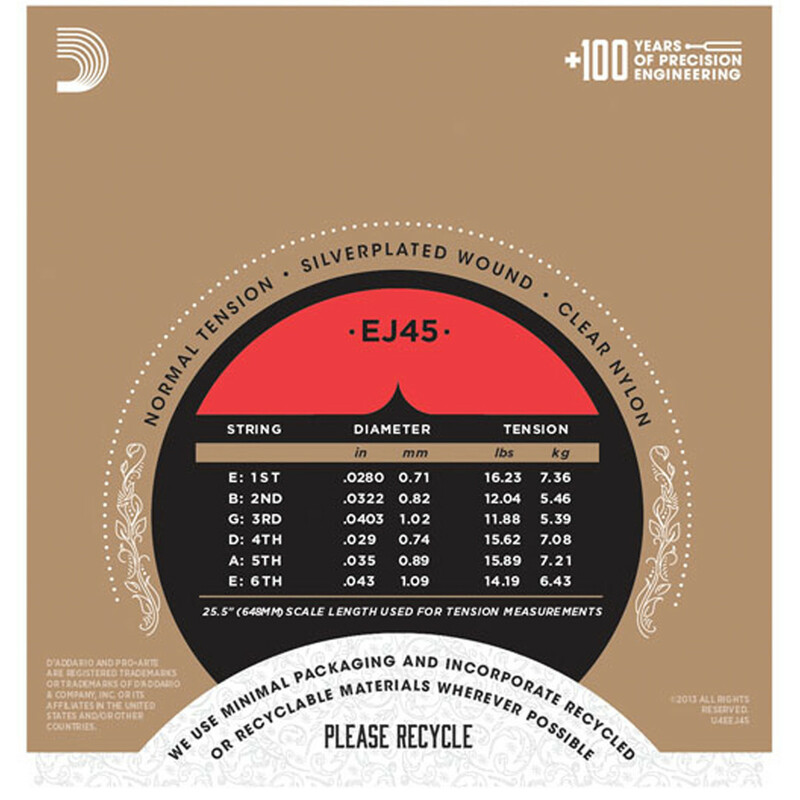 These strings are 'normal tension': they offer a balance between volume and comfortable resistance so you can play expressively and with powerful projection.